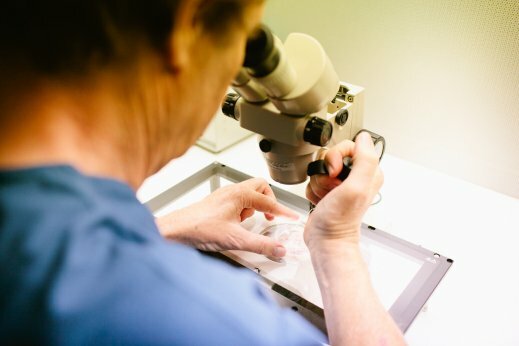 Southwest Fertility Center, Ltd. is one of the	best fertility centers in Phoenix, it has been freezing sperm and embryos for over 25 years with a success	rate higher that the national average; egg freezing is a relatively new	and emerging technology. Over the last 10 years the science of freezing eggs has improved to become	a viable option. Southwest Fertility Center, Ltd. was the first fertility clinic	in the valley to become Institutional Review Board (IRB) approved fertility	clinic for providing egg freezing. There are many reasons men and women will consider fertility preservation. One compelling reason to freeze eggs is to preserve fertility prior to	treatment for certain cancers. Our staff is committed to assisting men	and women with all due urgency for care to provide services within necessary	timelines so not to delay cancer treatments. We further assist with our	participation in Fertile Hope. Fertile Hope is a national LIVESTRONG initiative	founded by Lance Armstrong, in 1997. Fertile Hope is designed to assist	patients newly diagnosed with cancer. As the cancer survival rates continue	to improve for young men and women Fertile Hope and Southwest Fertility	Center can give survivors a real opportunity to have a genetically related	child of their own someday. Young women may wish to delay having a child while completing their education	or starting a career. Or women may wish to delay starting a family until	they have found a life partner. Freezing eggs allows women to use their	own younger eggs later in life thereby avoiding the risks associated with	the advanced age thereby delaying their own biological clock. Who should freeze their eggs? Any woman who is less than 37 years old and has a normal FSH blood test may be a candidate for egg freezing. Women may wish to freeze their eggs for many reasons. Couples who wish to freeze eggs rather than embryos for religious and/or	ethical reasons. Women who are diagnosed with cancer and wish to have the option of having	children in the future. This needs to be done before chemotherapy or radiation	treatments begin. Women who want to delay child bearing for career or personal reasons. Women who wish to delay childbearing until they meet a suitable partner. Women wishing to donate eggs for our Frozen Egg Bank Program. Egg freezing is a way to keep the ravages of time from preventing you	from having a biological child. Fact: Women are born with all the eggs they will ever have. Fact: A woman’s peak fertility is between the ages of 18 and 25. Fact: By the age of 40 the average fertility rate is 15% of that of a woman at age 25. Fact: The risk for having a baby born with a chromosomal abnormality at age	40 is 1/66 compared to 1/476 at age 25. Fact: As a woman ages the number of her eggs diminish and their quality deteriorates. Because of the reduced number of eggs there is a decreased chance for	pregnancy and with their sub-optimal quality, there is a higher incidence	of abnormal embryos resulting in more miscarriages. Preserving oocytes while they are still healthy is a proactive step you	can take to protect your fertility. For these reasons and more, freezing your eggs can be a viable option	to prolong the time frame in which you are able to have a baby. Call 602-956-7481 to speak with a Fertility Specialist today about egg freezing/fertility preservation and other fertility treatment options. Read about some of our success stories and how we’ve helped past patients. We are very happy to announce that we are now offering more competitive and affordable pricing for our patients. For more information about our fertility treatments and financing, give us a call today.